One thing I love about when we go to Disney is planning my outfits. 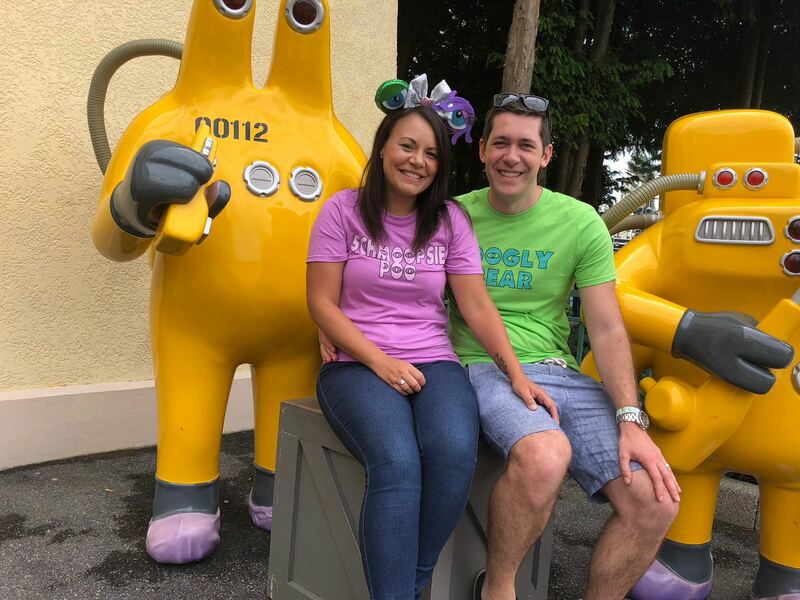 I recently started Disneybounding and you can read about my very first Disneybound which was a Mickey Mouse inspired outfit here, Mickey Mouse Disneybound. 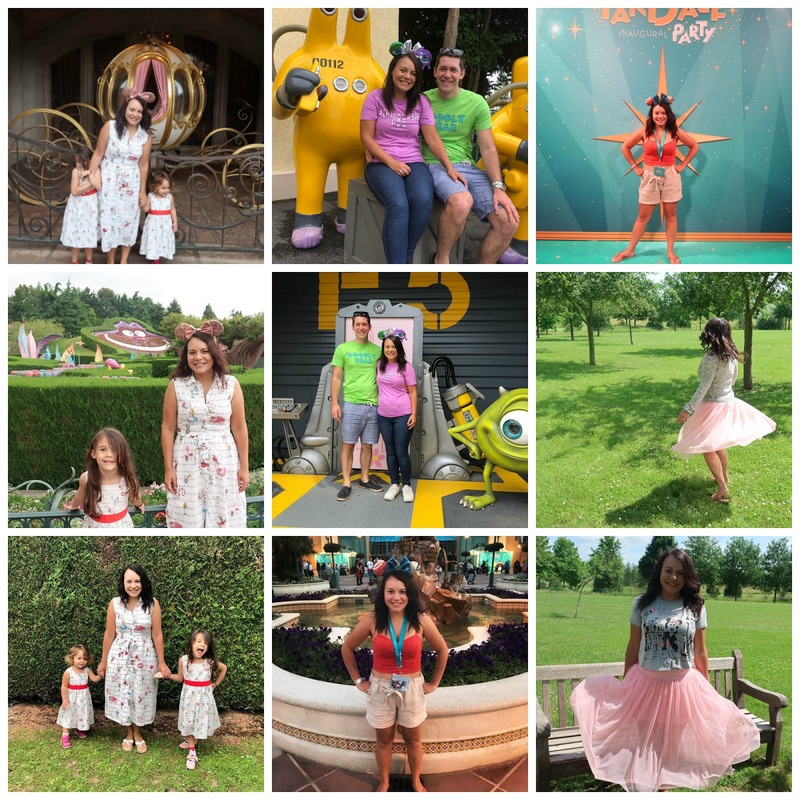 Our last trip to Disney was at the beginning of June. 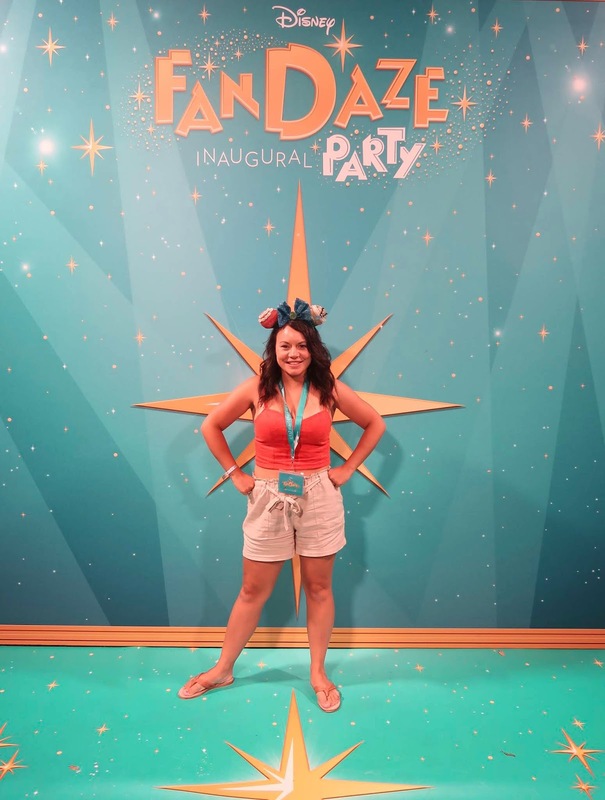 We only had 3 days there this time but that included the Fandaze event. I managed to wear 4 different outfits whilst we were there. 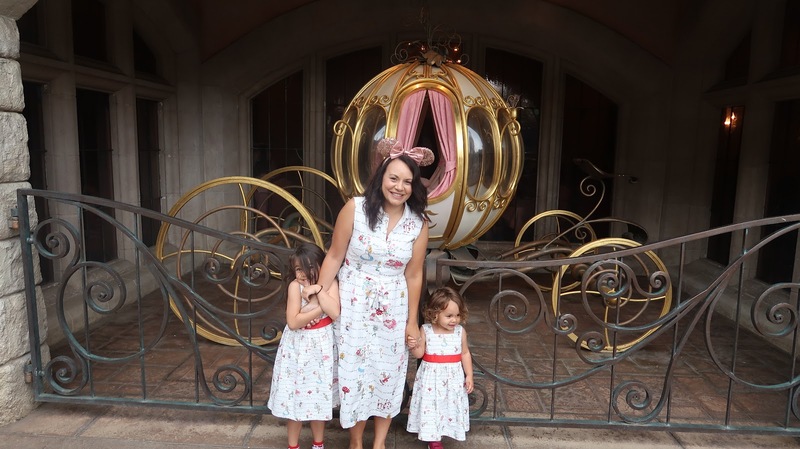 On our first day we had lunch at Auberge de Cendrillon which the girls thought was amazing. 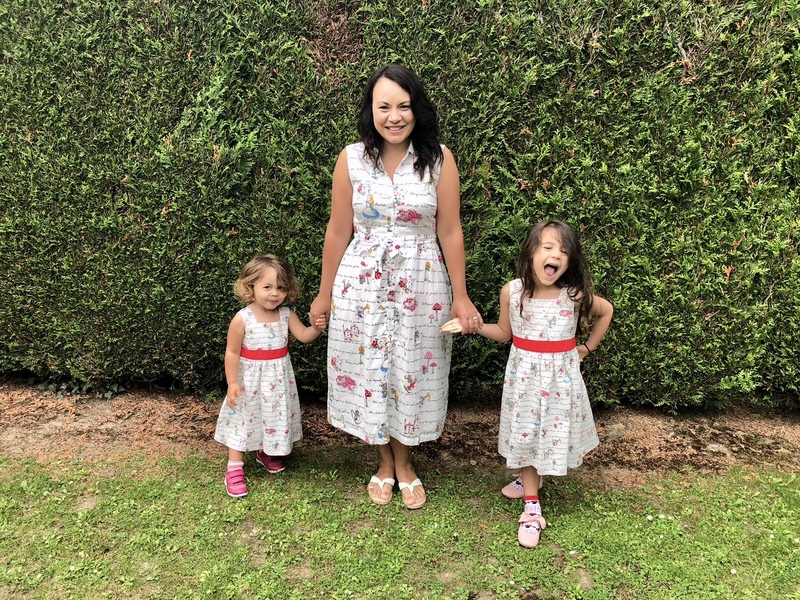 We had matching Alice in Wonderland dresses on, from the Disney X Cath Kidston range. They are perfect for summer months in Disney as they are quite thin. Lots of the cast members commented on them so my girls were extremely happy. 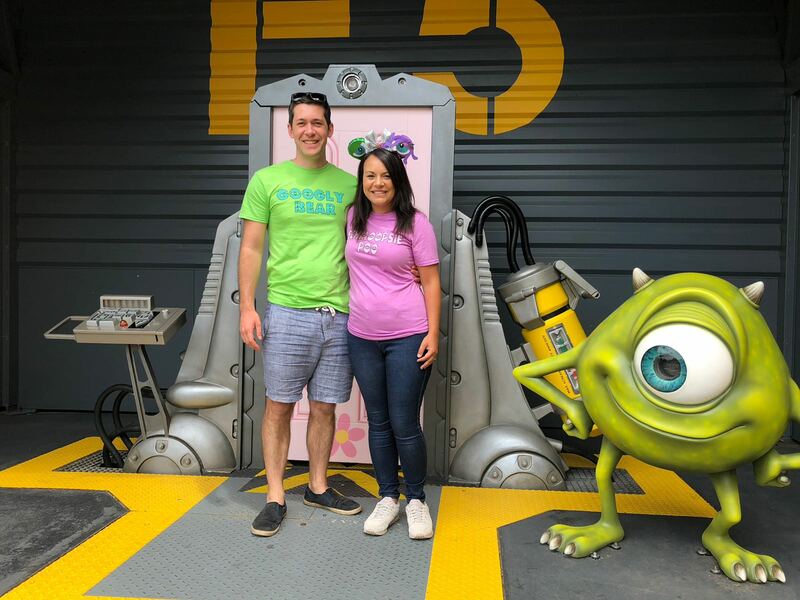 On our second day hubby and I wore our twinning Monster's Inc t-shirt's from Popcorn clothing. I am obsessed with them. They are great quality and wash well. I paired mine with customised ears from Hannah Marie Magic. If you follow me on Instagram then you'll know how much I adore Hannah's creations. The majority of my ear collection are from her shop. In the evening it was the after hours Fandaze event. We decided to honour Moana so both of the girls wore their costumes and I did a Moana bound. My ears were again by Hannah Marie Magic and my top and shorts were from Primark. It was quite hot that day/eve so a Moana bound was ideal. 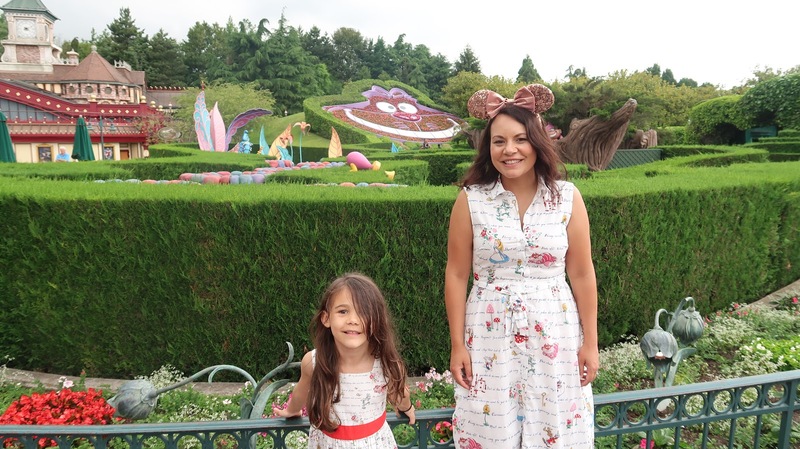 On our last day I wore an outfit which I bought in Disneyland Paris. It was from the Minnie Mouse fashion range. I'd bought the top and skirt earlier in the year and then managed to get the cardigan in June with 50% off plus my annual pass discount on top of that, so it ended up being an absolute bargain. What was your favourite outfit out of the 4 I wore? I've never been to any Disney park before, it's always seemed like such an exotic thing to do but now I'm reading about loads of people going. 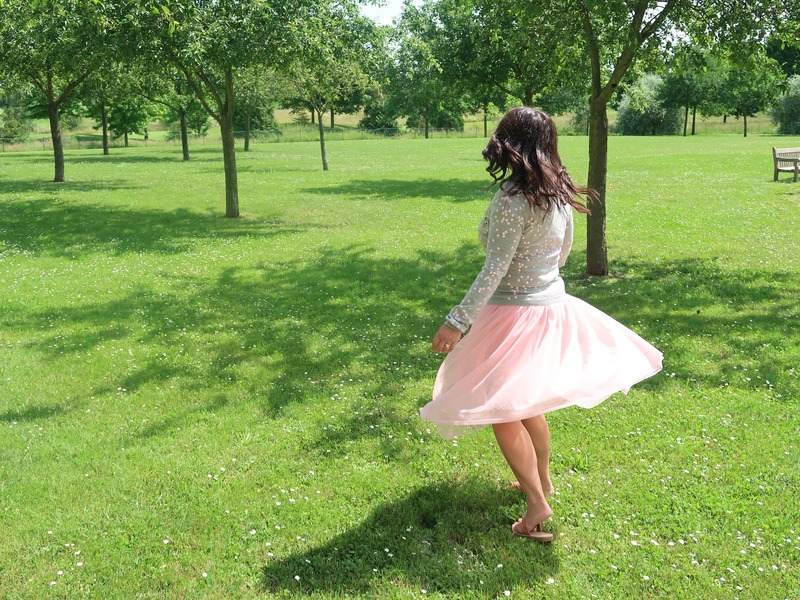 My favourite outfit you wore is the last one with the pink skirt, love how it swings! 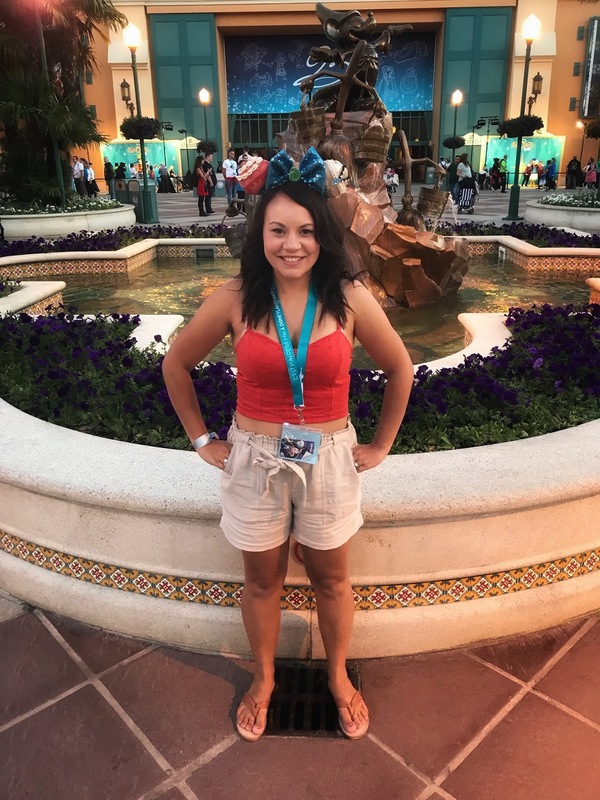 You have some great outfits for Disney. My favourite is the last one with the beautiful pink skirt. It's so fun and cute. I love your Moana outfit! 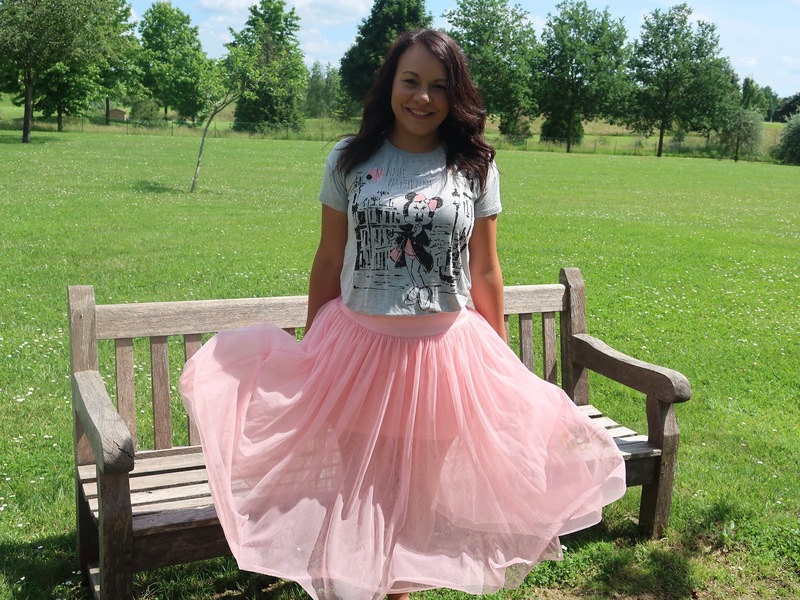 Also, that skirt is so dreamy! We went to Disneyland Paris last year. It was an awesome experience and we would go back if we could.